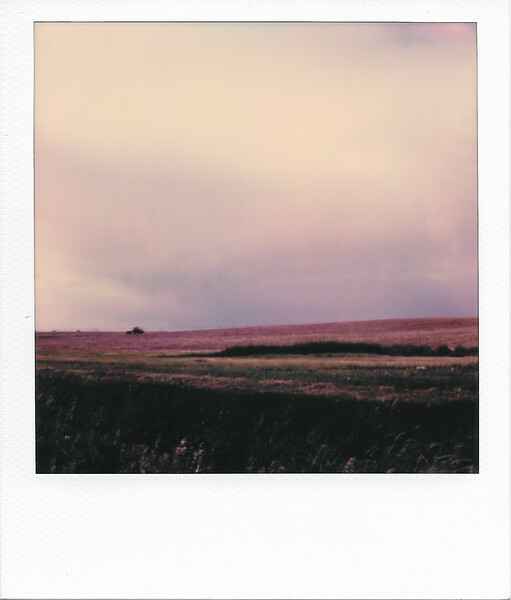 June 14, 2018 - Polaroid Originals 600 Color Film with ND filter sheet. Tractor in field with dark clouds. Wellington, Colorado.